Personal weather stations developed by Netatmo send Wi-Fi passwords and other information to the company’s servers in clear text, a researcher reported on Thursday. 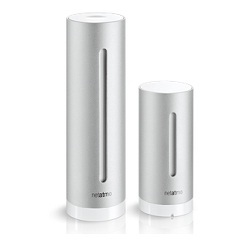 Netatmo weather stations can be used to monitor indoor temperature, humidity, air quality and CO2 levels. The device also provides outdoor parameters such as temperature, relative humidity, air quality, barometric pressure, and weather. The devices are very popular, as shown by an interactive map available on the company’s website. Johannes Ullrich, CTO of the SANS Internet Storm Center, tested one of these weather stations and discovered that after the initial setup, the device had sent his WPA password and the Wi-Fi network’s SSID to Netatmo’s servers unencrypted. This information is provided by the user when the device is configured via a custom application. “Not only should data like this not be transmitted ‘in the clear’, but in addition, there is no need for Netatmo to know the WPA password for my network,” Ullrich said in a blog post. Netatmo told the researcher that the contents of the weather station’s memory was collected at first startup for debugging purposes. The company says it has addressed the issue with the release of a firmware update, and has promised to remove the debug memory in the coming weeks. In an email to SecurityWeek, Netatmo representatives said the weather stations no longer send debug information at installation time. Internet of Things (IoT) security has made numerous headlines over the past period. A report published by HP last year revealed that 70% of IoT devices had been plagued by serious security flaws. A report published by the company earlier this week on Internet-connected home security systems shows that many of these solutions can be easily accessed by malicious hackers due to the lack of proper protection mechanisms.